Businesses in 2018 looks to increase productivity, profit and building trust with prospective clientele. A strong communication can boost the morale of new client with the company, and allow for further business discussion and business. In the past, folks believed that there is no reason for having an online presence with their businesses, they believed that the word of mouth from the local community drives customers to their place of business. Other folks believe in the regular walk-ins from new client to do business. While this might have helped old businesses in the 80s and early 90s, new businesses will face great challenges with this business approach. Old businesses that have decided not to go to the digital space risk losing client base, or closing shop. A good story between Netflix and blockbuster comes to mind. In 2013, Blockbuster decided it will close its remaining stores. The retail stores had over 9000 stores years back in the U.S., but were chased out of the market after consumers shift to the digital video distribution space, Netflix. New clients will prefer to use internet search engines like Google to find the nearest coffee shops, best cheap hotels in town, restaurants or a motel in the city and other searches, instead of acting like it’s in the 80s. This new thought process has also brought the emergence of business owners going from local to digital. Small businesses now go to add their businesses on Facebook, Google Small Business website and Bing places for business. This seismic shift by the small/large businesses means that business leaders will have to maintain their online and offline reputation in growing of the business. Effective communication is one of the key successes for keeping online reputation of local businesses. Customers that had come in contact with the business online wants to inquire about some section of the business, and humans prefer to get quick responses to requests. A business that replies emails in 30minutes to 1hour is likely to get a the job/contract to a business that replies in 4 days. One of the effective mode of communications is the E-mail. There are different email services provided by Yahoo.com, gmail.com, bing.com among other free email services. 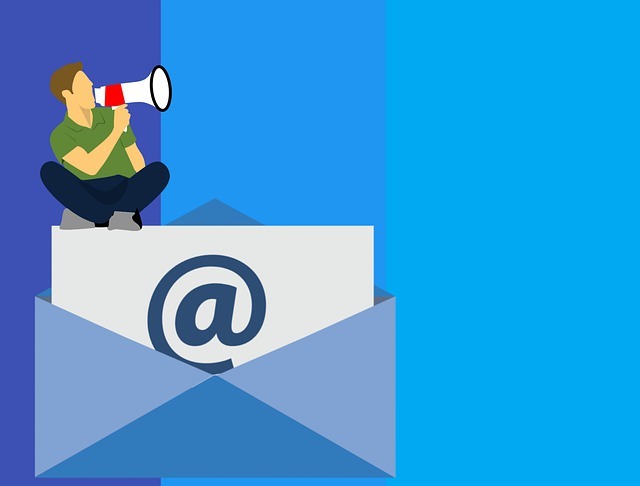 These aforementioned free email services would help you do the job of receiving email services and sending emails, but would present your business leaders as incompetent or the unprofessional type. Many businesses and others in different part of the world, especially in the U.S. and New Zealand have lost prospective buyers because of generic email accounts that ends with an email address that looks like [email protected]. People will reply emails from “[email protected],” and will be careful or not respond to emails, no matter how carefully worded to emails from [email protected]. In 2018, there are lots of discounted domains that will allow you to purchase your own business domains for a very cheap price, host your business website, and will also get your own business email. The era of waiting for your friends speak to everyone on the street is fading out, and CEOs catching on the “www “bus in 2018 will be a step forward to increase productivity, profit and build trust with customers. There are many domain extensions that business leaders can purchase to help in building client trust with their businesses, and also making sure they are purchasing these services from a reliable web hosting company. I recently wrote a tutorial about how you can prepare your website and also configure your own Vesta control panel. So in this new series, I will be sharing with you how to add the website and database, you have recently moved away from your web hosting company. Login to your server, to open the Vesta Control Panel. Login as an admin with the information you got via your email. Immediately you have logged in, it is a good idea to change your password, and not the one you were given, since you know the capacity of this account, it is advisable to use a strong password combination. Tips: You can use the generate to get a strong password you can remember or keep it somewhere you can't lose it. Make sure to edit the generated password too. Scroll down that same page, you will find a field where you can define your new nameservers. Now hit save here and lets move on. Looking at the settings, you can create an hosting plan if you plan to do so..how many domain or web domain can an account have, their own nameservers, how many databases and more. Click on "Web", and you probably would see a dummy website, go ahead and delete it, and click the "Add Web Domain"
I advise that you click on the Advanced options, as we will need to create an FTP account that will help you move your files using your preferred FTP software. Your DB will have the prefix of admin, other Database won't have, as you can assign the name to it. Immediately after creating the DB information, Vesta will create a new link showing Open PhpMyAdmin. This will open a PhpMyAdmin interface where we can now upload our zipped Database will downloaded in the first series of this tutorial. Import your Database now to the PhpAdmin. Wait for a few minutes to upload your Database. Don't forget your Database name, username and password just changed, don't forget to correct that in your website files so as to correspond with the new Database. Now that it is done...Let us move to moving our website files. Download Filezilla or WindowSCP. Remember the FTP configuration we talked about, use your Filezilla or WindowSCP. Today i will like to share with on how to know if a particular domain name is registered or still available to be used. Domain names are the address you typed on the browser address tab. Example is :Facebook.com, doynews.com, BBC.co.uk and many more. Sometimes you want to use a nice domain name for your business or personal websites, but you find it hard to get one as all names seem to be picked by someone else or business, these names are sometimes bought by people, but not using them yet, this might be domain name squatting or they plan to use it in the near future. So in this blog section today, i want to help you learn how you can search your domain name today to know if it's registered or not. When you decide on the domain name you planned using,most website hosting companies always have a DOMAIN NAME SEARCH BAR to help you search the availability of domain names. Find A Web Hosting Company: Type a name you desire for your domain name, immediately you typed the domain name, it will show you if it is available for purchase or not. Most web hosting companies will show you suggestions of what you searched for. Also, not everbody needs a .com for their business, you can also search extensions like .biz, .net, .org, .in, .in, .me, .pro, .co.co.uk, .info, .Asia and much of it, you can also choose the extension you like to use, according to your business or country. You can back order a domain from this website: Back order as display on this website means you can pay for the domain, but you won't have any access to it, but if the original owner of this domain fails to pay after it the domain name expires, then the domain name is gone, it will be automatically yours. So you must be careful and not let your domain name expire especially if its for business as it may damage the business online and reputation. If you plan to buy a domain name and having a big vision ahead, buy the important extensions aside from .com. If you typed in your web browser, Facebook.org, it automatically redirects you to the same Facebook.com. Which means, Facebook bought out the .Org , so someone won't just buy it and use the name Facebook to build its own brand, because probability of people looking up Facebook.org is high. Some of the extensions you need buy are .org, .info, .biz and .com. You can also buy the domain from the country you staying, like Doynews.com.ng. That means a Nigerian domain name, or Doynews.com.ca. Which means Canadian extension domain name. Try Facebook.ca, what do you see? This is good if you are planning big on your project. You should do this because some people online can buy one of this extension for as low as $9.99, and use it to deceive people and mislead people by saying its the same company,so to be safe is better than sorry and you also help your clients to trust your organization too. Hope this helps you on how to choose and search for your domain name easily online and how to be safe.